NEW YORK–(BUSINESS WIRE)–Diligent Corporation, the leader in Enterprise Governance Management, today announced the appointment of Ken Surdan as Chief Product Officer in the company’s New York City office. Surdan will be tasked with advancing Diligent’s mission to drive innovative technology to governance leaders. This recent hire represents Diligent’s commitment in the governance space to fulfill the need for broader solutions that digitize and securely manage the full range of governance responsibilities. 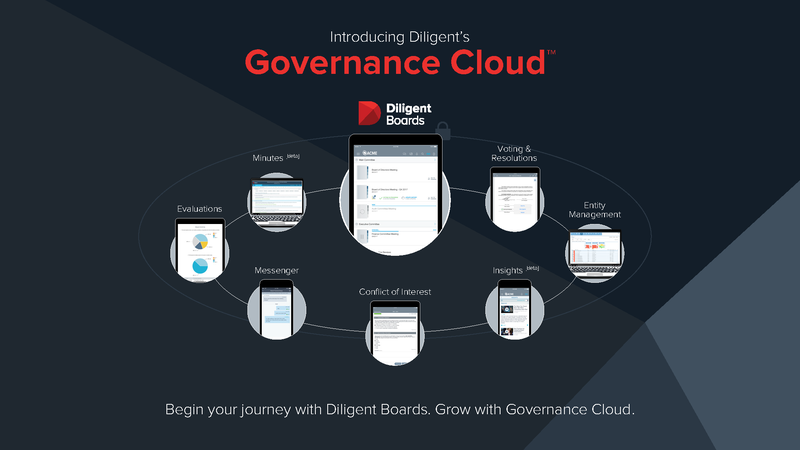 Surdan, as Diligent’s latest strategic investment, joins shortly after the company’s announcement of the Governance Cloud, the only comprehensive suite of governance tools built to help the world’s leading organizations. Bringing more than 20 years of experience in product strategy, development and technological innovation, Surdan stands as a SaaS industry veteran with a wealth of experience to scale Diligent’s already expansive suite of governance tools. Surdan has held a variety of executive-level roles at high-growth private and public technology companies. He has built outstanding product and technology teams at innovative companies including Endurance International, Constant Contact and National Leisure Group, an online travel company that he helped grow from $80 million to $900 million in revenue. As an accomplished industry leader with a forward-looking approach to product innovation and governance, Surdan will serve as an essential resource toward furthering Diligent’s corporate strategy. Serving over 12,000 organizations and 400,000 users worldwide with tools that can be accessed centrally through the Governance Cloud, Diligent proudly introduces Surdan’s appointment as a testament to its unrelenting mission of broadening clients’ ability to digitize their governance responsibilities. Diligent is the leading provider of secure corporate governance and collaboration solutions for boards and senior executives. Over 12,000 clients in more than 90 countries and on all seven continents rely on Diligent for secure distribution of board materials to secure messaging, integrated compliance, board evaluation and entity management. Governance Cloud is the only solution that meets the evolving governance needs of leading organizations. Visit www.diligent.com to learn more.